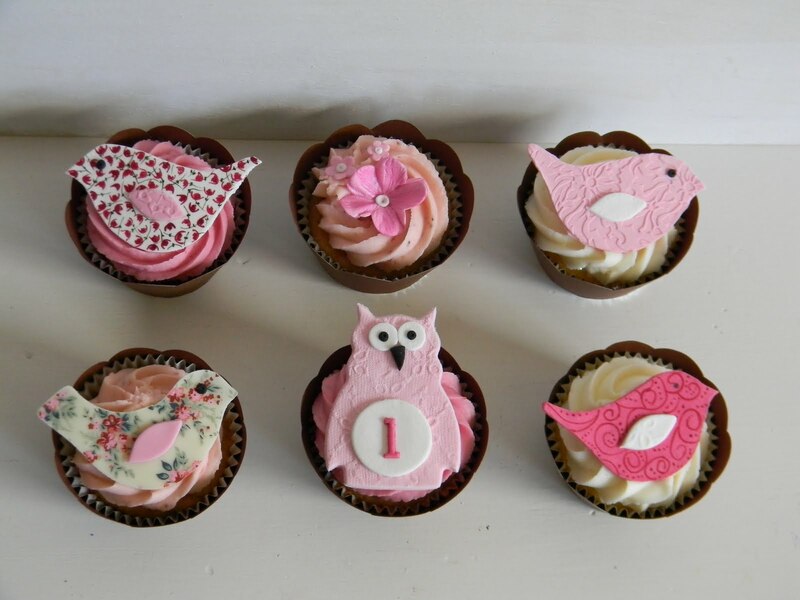 Well it has been another very busy week of baking! This week I had the pleasure to re-create one of my signature designs, the lovely owl and bird themed cake and cupcakes. For those of you who remember, I created this set for a friend's daughter early last year for a Baptism. 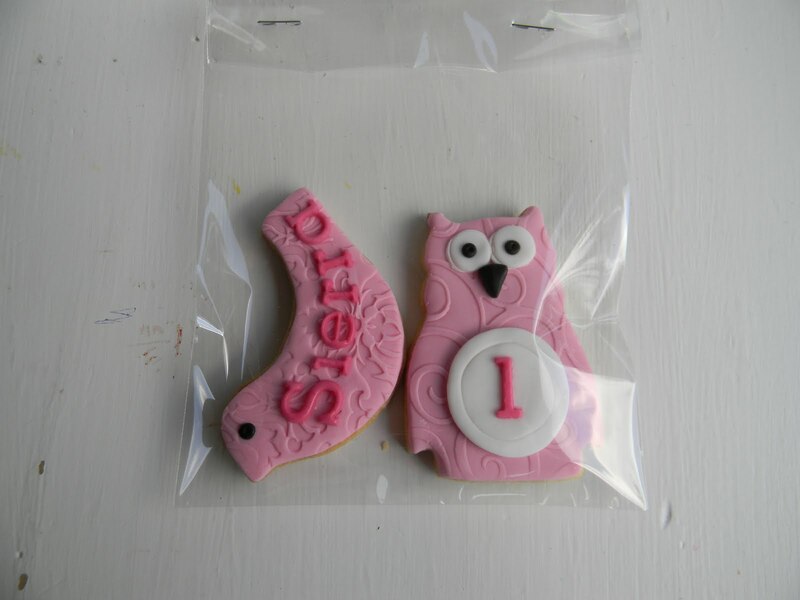 The above set was made for Sierra's 1st birthday and although the design is the same I've changed some of the colours and designs. The main cake was a triple layer chocolate sponge cake with chocolate fudge buttercream filling and covered in white choc fondant. I did a mix of cupcakes, some hand painted, some embossed and some printed with edible transfer sheets. I am very happy with how they turned out. I also got asked to make a couple of embossed sugar cookies as favours. 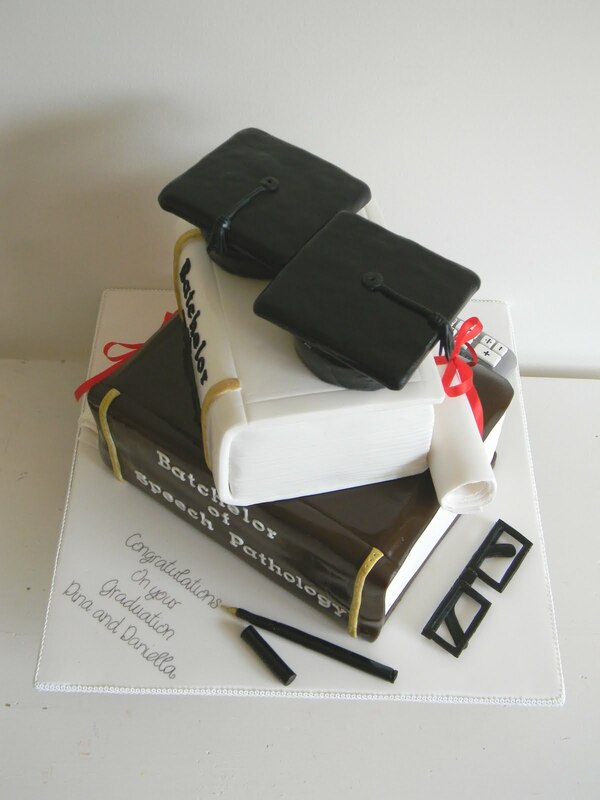 Another cake I created this week was this graduation cake for two sisters. Everything is edible except the two red ribbons tied around the fondant scrolls. The books are made from vanilla buttercake filled with vanilla bean buttercream and covered in brown and white chocolate fondant. The hats and calculator was made from cookies and fondant while the rest of the props were made from fondant. Overall I was extremely happy with how the cake turned out, the exception being the incorrect spelling of the word Bachelor (I spelt it Batchelor). Even though I had checked the spelling three times and written the word down correctly I still managed to spell it incorrectly on the actual cake!! By the time I realised I was not able to remove the lettering without damaging the two books so had to leave the lettering in place :-( Not happy with that!! 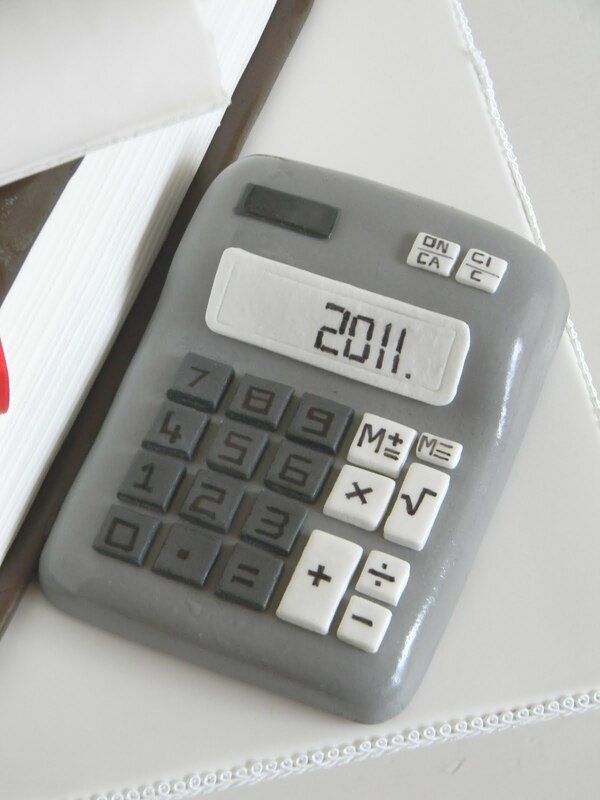 Close up of the cookie calculator covered in fondant. Lettering done with edible pen. 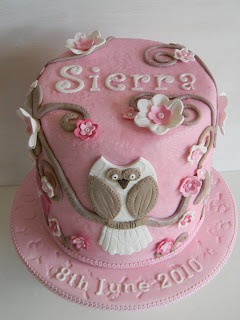 love the owl cake! 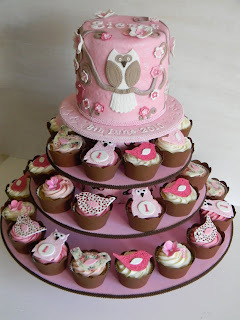 great job on all the cakes! I love love love the owl! so cute! Could you give a tutorial on how you did the cookie in fondant? My husband is an accountant and it would be SWEET to make one for him. Thanks!